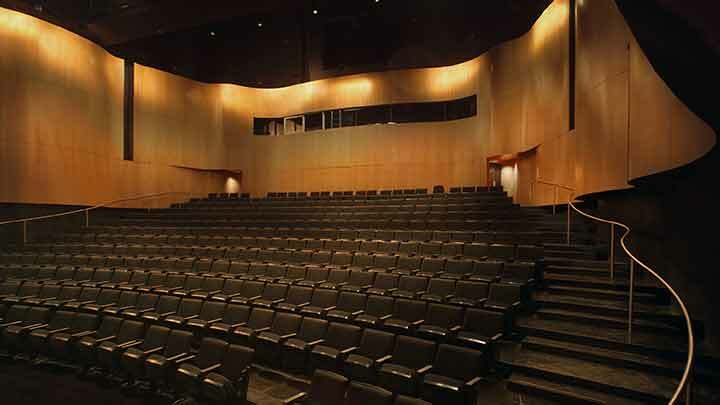 In Fall 2003, South Mountain Community College added a $10 million Performing Arts Center (PAC), built with funds generated by the Maricopa County Community College District’s successful 1994 bond initiative. World-renowned poet Maya Angelou shared a reading during the Performing Art Center’s dedication ceremony in 2003. The campus’ performing arts center is considered a community landmark to showcase the remarkable talents of our students and offers the community an opportunity to share in a love for the arts. The iconic performance hall faces South Mountain, Arizona’s largest municipal park, and is a prominent feature of the campus. The translucent glass affords a breathtaking view of South Mountain and central Phoenix, making it the ideal place to be during sunset. The Performing Arts Center (PAC) is divided into three major buildings that join to create an outdoor arts amphitheater. The facility houses the college’s art, music, dance, and storytelling classes. The 43,000 square foot performance hall contains a 350-seat theater, 100-seat studio theater, 75-seat dance studio, scenery and costume shops, dressing room, make-up room, and green room, as well as faculty offices and multipurpose classrooms, and the landscaped amphitheatre is fully functional to accommodate outdoor gatherings, performances, and special events. The Performing Arts Center (PAC), is located at 7050 S. 24th Street, Phoenix, Arizona, 85042. 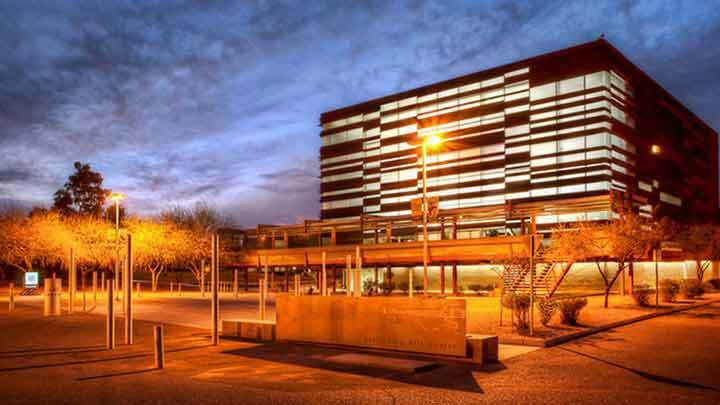 The PAC is located just across from the South Mountain Community Library, near the third entrance into the campus off 24th Street, as noted on the campus map. Adjacent parking lots for the performance hall, studio theater, and the dance room is convenient and free. The community is welcome to scheduled performances and events. Please check the Performing Arts Events Calendar for upcoming events. Tickets available online and/or at the box office on the night of the performance. Events begin promptly at the times listed for the performances. Those arriving late or exiting the during the event will be seated at the discretion of the house managers, based on the preference of the performer(s). For certain performances, no late arrivals will be accepted. We thank you for your cooperation. No food is allowed to be consumed in the Performing Arts Center. Bottled water is allowed. 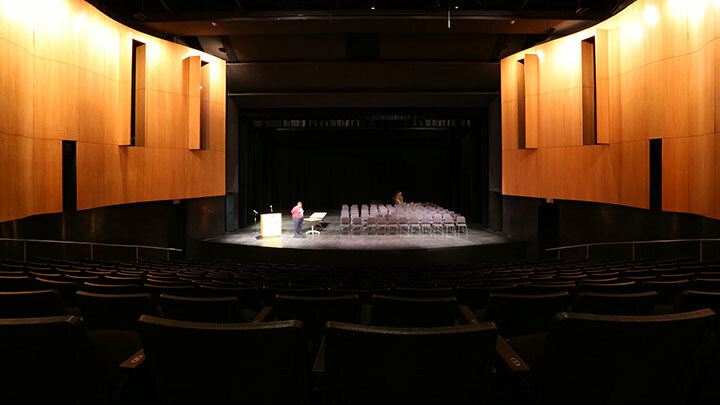 The Performing Arts Center is available for rental, pending availability. The standardized fees for the Performing Arts Center are posted HERE. Mon–Fri: 8:00 a.m. –10:00 p.m.